Our vision for education is deeply Christian, with the promise by Jesus of ‘life in all its fullness’ at its heart. Our vision embraces the spiritual, physical, intellectual, emotional, moral and social development of all our learners. The vision for our school is to be a community of faith where we believe, achieve and grow together. 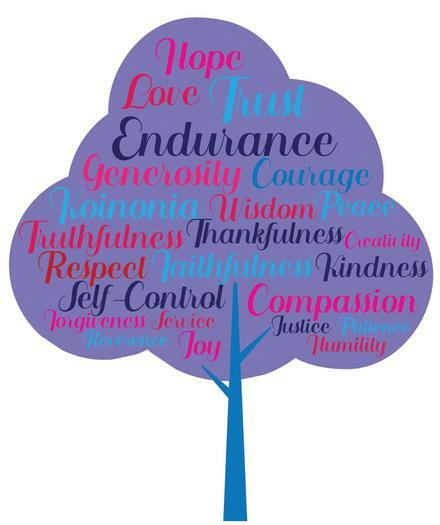 We aim to embed through an ethos of nurture core Christian values of hope, peace and koinonia. There are four basic elements which permeate our vision for education; wisdom, hope, community and dignity. to secure an open and welcoming partnership between school, home and the community which values, celebrates and embraces diversity and individuality. At Barwick-In-Elmet Church of England Primary School our Early Years Team is committed to providing children with the best possible start to school life, providing children opportunities to follow their interests to ensure future success. We strive to ensure our children are happy, enthusiastic and confident learners with aspirations to excel in whatever they choose to do. We aim to develop a love of learning by providing children with a safe, stimulating learning environment that build on each individual’s needs and interests. We believe learning should be fun, engaging and suitably challenging. The EYFS provides children with a broad and balanced curriculum of play-based activities alongside aspects of adult-directed teaching and learning opportunities. We aim to provide high-quality education for all our children, laying strong foundations for their future learning and development. Our stimulating learning environments, both inside and outside, provide children with a variety of resources to discover and explore through child-initiated play. Our classrooms are accessible to all, allowing children to gain independence whilst exploring and learning safely. The immersive learning environments are highly stimulating and provide opportunities to develop crucial social, emotional and communication skills. We value the importance of outdoor learning and believe that it should provide children with opportunities to develop their thinking and problem solving skills. We aim to replicate real-life learning experiences and provide practical, first hand learning opportunities to enhance children’s knowledge and understanding of the world around them. Parent and carer partnership is a key factor in the progress that children make during their time in the Early Years. We value parent communication to achieve the full picture of each individual child’s development and learning journey.